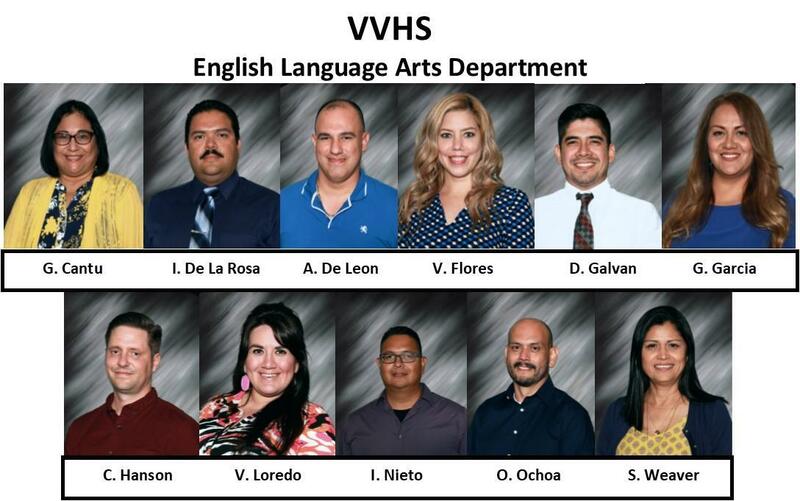 For this week's Tiger Spotlight, Valley View High School would like to thank and recognize the ELA department: Mr. D. Galvan, Mrs. G. Cantu, Ms. V. Loredo, Mr. I. Nieto, Mrs. S. Weaver, Mr. C. Hanson, Mr. O. Ochoa, Mr. A. De Leon, Mrs. G. Garcia, Mr. I. 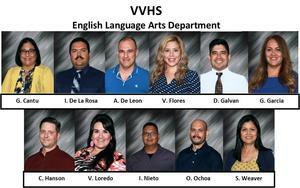 De La Rosa, and Mrs. V. Flores for their preparation and dedication to their craft and students. Not only have they been preparing for the STAAR assessments with engaging lessons, 20-day plans, and relentless after school and Saturday tutorials, but have taken the full role of rating all TELPAS writing samples. This tremendous team effort, positive collaboration, and attitude have not gone unnoticed, nor unappreciated. Thank you for your unwavering work ethic, time, commitment and loyalty to your students and campus. You are truly shining bright each and every day! Keep up the great work!